Educational institutions, who have to their heart the development of students, should not be afraid of high standards to guide their Quality Assurance. 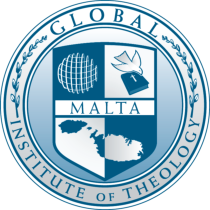 Global Institute of Theology, an institution whose goal is to bring character-changing in its students, is by default committed to offer the best Christian education possible. Quality Assurance has to be visible by the changed lives of the students and not just with paper certificates hanging on the wall. It is stated in our policies that Quality Assurance starts from the director (dean) down to the janitor. Now, after being involved in EQAVET and adopted its stocktaking system, we believe that GIT is stronger than it was since we signed the first protocol and later licensed as a further and higher educational entity. We believe the philosophy for policies for Quality Assurance to guide Global Institute of Theology is downloadable from this website, is fit for purpose to suite the framework of the NCFHE Reference Guide The standards we have set, have the highest quality because they are set by the Bible itself; which teaches us to excel in all things, to give glory to God. Rabbi Judah the Holy was the one who articulated the well-known saying, “the world exists only to breathe the breath of school children.” We are convinced that this principle is internalized and is in the fabric of our being. We firmly believe that the focus of learning must have the students best interest in its aim; unless the students receive what we offer them, then the focus is somewhere else. We are, convinced, that the strategy of making sure all that all GIT staff adhere to the designed policies and guidelines gives our students high-quality educational experiences.